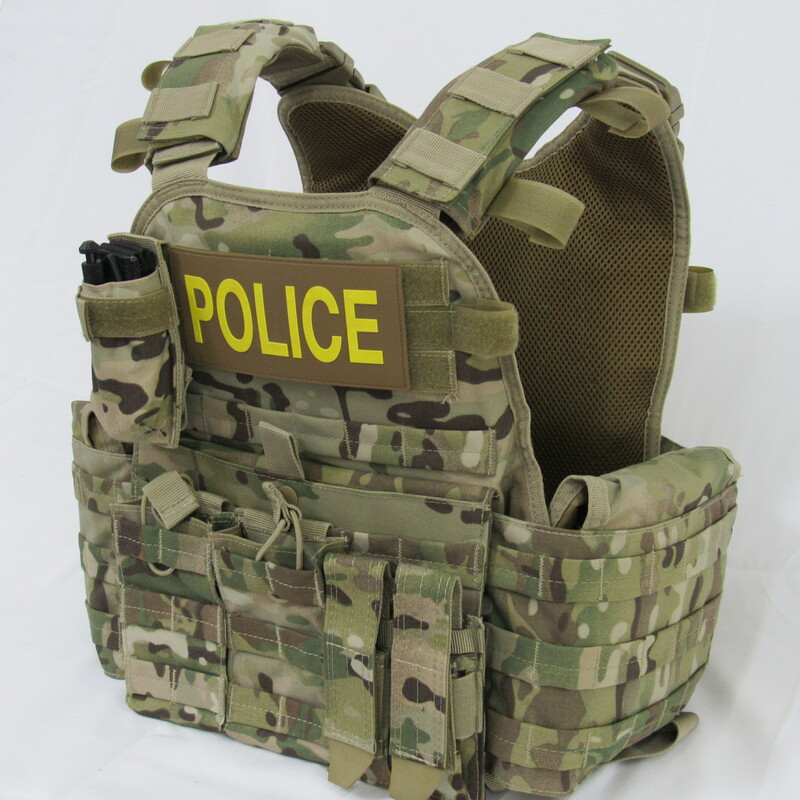 This is a Tactical Medic Vest designed for the Police Officer Tactical Medic. It is complete with Tactical Medic Chest Rig (fully stocked) and triple rifle magazine pouch and triple pistol magazine pouch. The rig comes with two (2) Level IV 10x12 NIJ 0101.06 multi hit stand alone plates with a single curve for comfort. These are a 7lb multi hit plate capable of stopping multiple armor piercing rounds. The plates are an advanced Monolithic Ceramic/Polyethylene blend and less than an inch thick . The Police Tactical Medic Chest Rig is equipped with enough critical response gear to treat multiple severe injuries in support of officers or agents on scene or assigned to an operation. This platform is currently in use by several Law Enforcement agencies worldwide and has the ability to be customized and loaded out to fit your team needs.